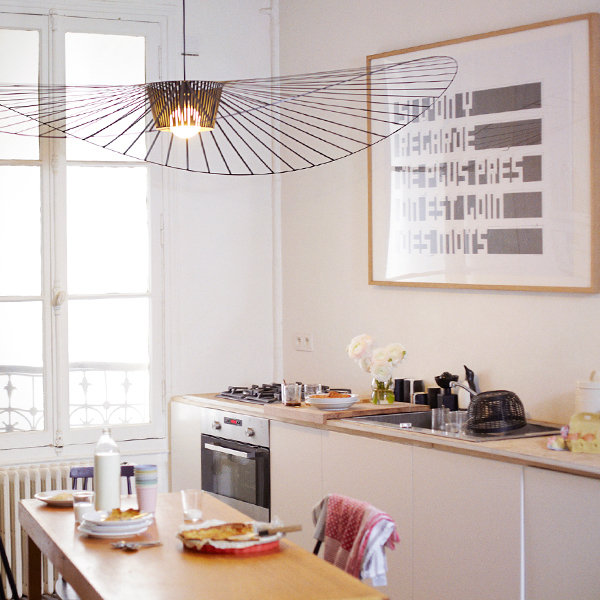 Petite Friture’s Vertigo is a large and astonishing pendant light that casts a graphic shadow pattern on the walls around it. 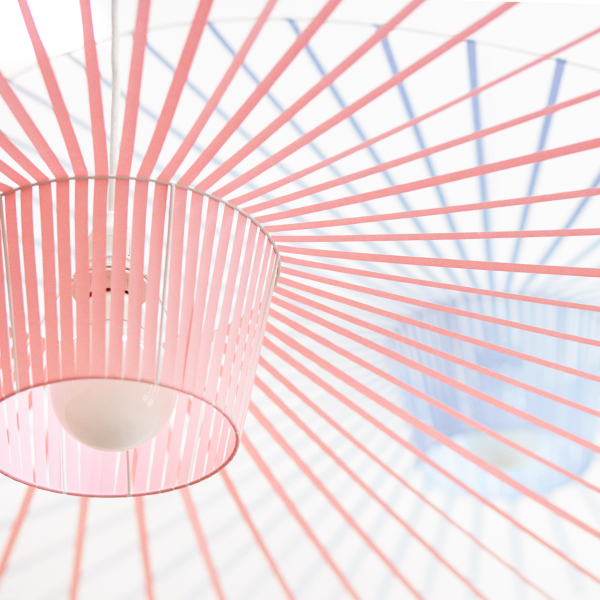 Vertigo's light fibreglass frame, striped by long ribbons, sways even in the lightest draught. 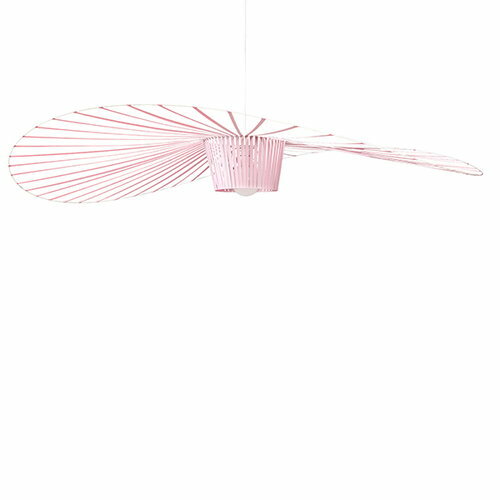 According to the designer of the pendant, Constance Guisset, the large, floating shade creates its own intimate area, a den. 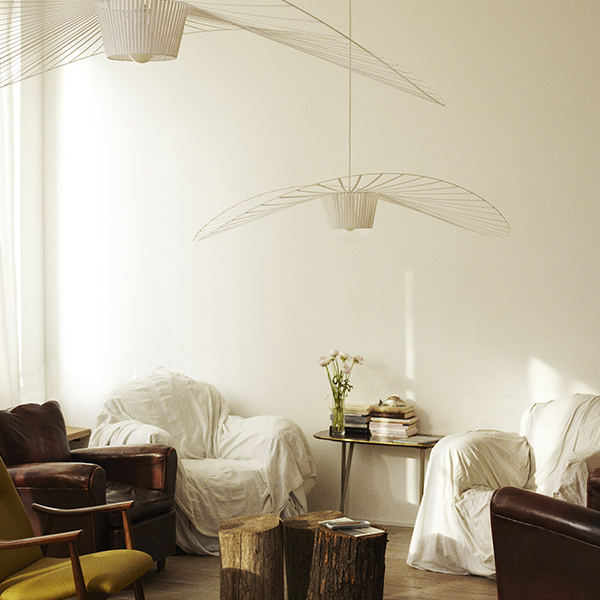 Sculptural Vertigo will stand out in any room but is at its best in large, open rooms. If you are in the market for a statement pendant light, look no further. Constance Guisset (b. 1976) is a French designer, who graduated from the ENSCI-Les Ateliers design school (École nationale supérieure de création industrielle) in 2007 and founded Constance Guisset Studio in Paris in the same year. Guisset has won various awards including the Grand Prix du Design de la Ville de Paris, the Prize for the Public at the Design Parade at la Villa Noailles and the Audi Talent Award. In 2010 she was elected among the ten designers of the year at the Maison & Object design fair. Constance Guisset Studio has specialised in product, interior and set design, and the designers and architects aim to create dreamlike, animated objects and spaces that evoke a sense of wonder. The studio’s client list includes Petite Friture, Moustache, Molteni, Christian Dior Parfyms and the Galeries Lafayette department store in Paris.